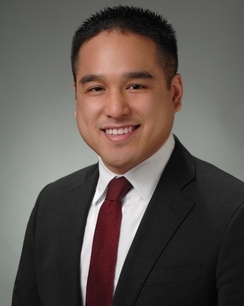 Brenan Salgado is an associate with Hinkhouse Williams Walsh LLP. Brenan concentrates his practice in the area of complex civil litigation, representing clients that include product manufacturers and distributors. Brenan has experience in a range of litigation matters, including the defense of private and public sector clients against contract, civil rights and insurance claims. Brenan graduated from the University of Illinois in Urbana-Champaign where he earned his Bachelor of Arts in Political Science. He earned his Juris Doctor from Vanderbilt University Law School. During law school, Brenan served as the Senior Technology Editor of Vanderbilt’s Journal of Entertainment and Technology, the Co-President of the Asian-Pacific American Law Student Association, and the Vice-President of Alternative Dispute Resolution Organization. Hinkhouse Williams Walsh LLP is pleased to welcome its newest associates.